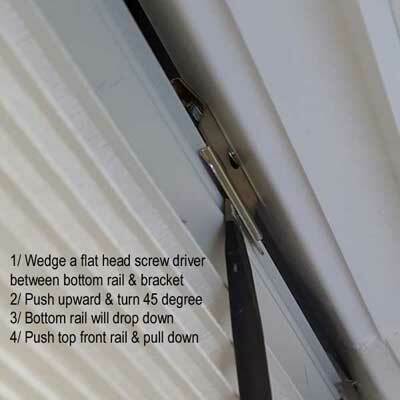 The pictures below show you how to remove a headrail from brackets. 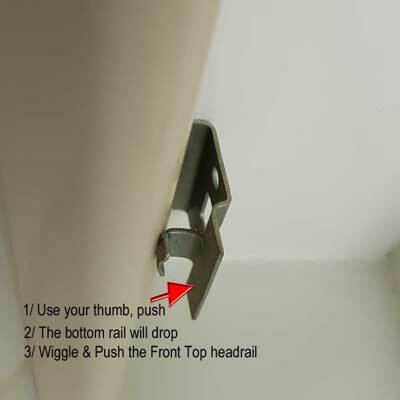 Hidden bracket, principle: never pull down to remove. push top headrail in to losen the bottom rear. Then lift rear. 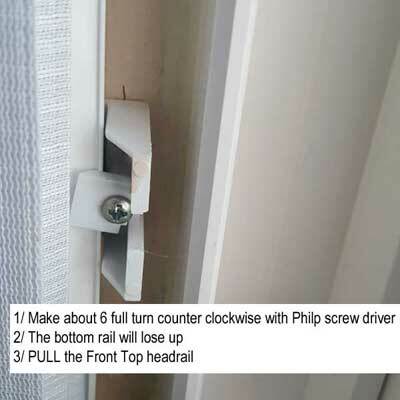 if you can't find any visual clue, roll the shades all the way down, use a flathead screwdrive to push up middle of bracket while pulling the headrail away from the window glass.